Betty Schott (seated) wears a lei at a ceremony in 2014 to commemorate the 73rd anniversary of the attack on Pearl Harbor. I loved to listen to her talk. But when her husband of 76 years died in May 2014, her smile faded and the quips didn’t come as quickly. Adjusting to life without her beloved wearied her. On Sunday, Betty died, 80 years and one day from the anniversary of her first date with Warren Schott. I met the Schotts in 2007 when I interviewed them for my Love Story series. It was the start of a friendship that spanned eight years and immeasurably enriched my life. He was a young sailor, not in the least interested in finding true love. But on July 4, 1935, love found him in the form of a beautiful, petite North Central High School graduate named Betty Forest. They were married April 2, 1938, at the Wee Kirk O’ the Heather chapel at Forest Lawn Cemetery in Los Angeles. But as Pearl Harbor survivors, the Schotts saw more than their share of death. Warren had been sent to the Naval Air Station at Pearl Harbor shortly after their marriage. Betty was determined to join him and worked until she earned her passage. She arrived on Ford Island in 1939 and they settled into a tiny apartment near Battleship Row. What I remember most was my last visit to her home – the home Warren had built, the home they’d shared for 65 years. 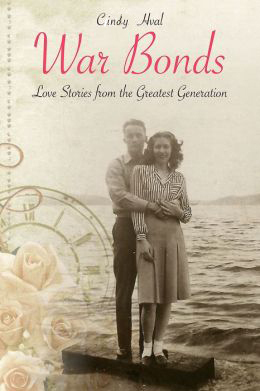 When you write a book about WWll veterans who are in their 80’s and 90’s you know your time with them is limited, but it doesn’t make saying goodbye any easier. Betty Schott died on July 5. 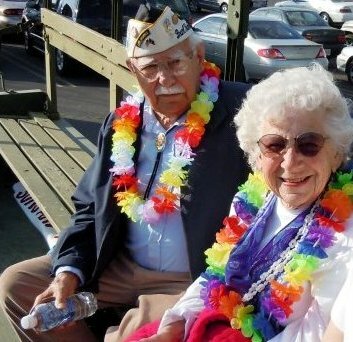 She and her husband, Warren, survived Pearl Harbor together and their marriage spanned 76 years. Warren and Betty Schott appearing in the Armed Forces Lilac Parade in Spokane, May 2010. In this week’s Spokesman Review column I say goodbye to Betty, one of the sweetest, wisest, kindest women I’ve ever known. You can read the column here. Or here.